Ministries of our church usually involve an opportunity to serve our congregation and our community so just about every one of these groups needs your help. Decide which type of activity suits you best and then, please volunteer. Most ministries of our church have at least one page here on the website. Check the list below and click the link to connect with the specific ministry. 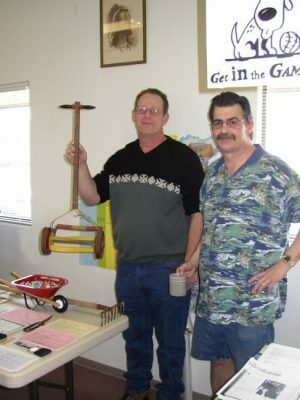 In 2003 Mt. 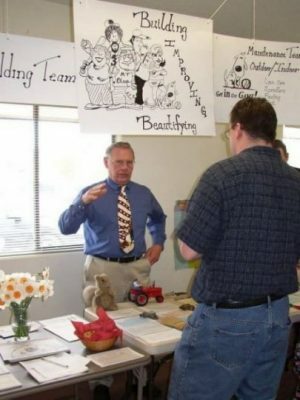 Olive held a ministry fair in the old Fellowship Hall. 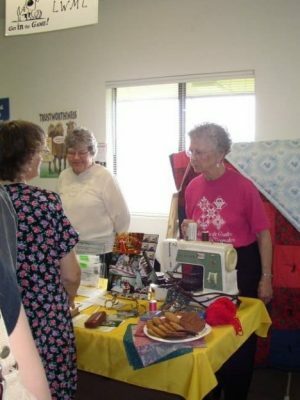 In 2017 there was another ministry fair in the new Fellowship Hall. 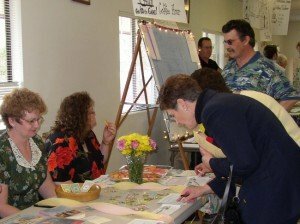 People involved in each ministry set up tables with posters and displays all around the room where church members could browse and talk with representatives about ministry opportunities and discuss what is involved in volunteering.